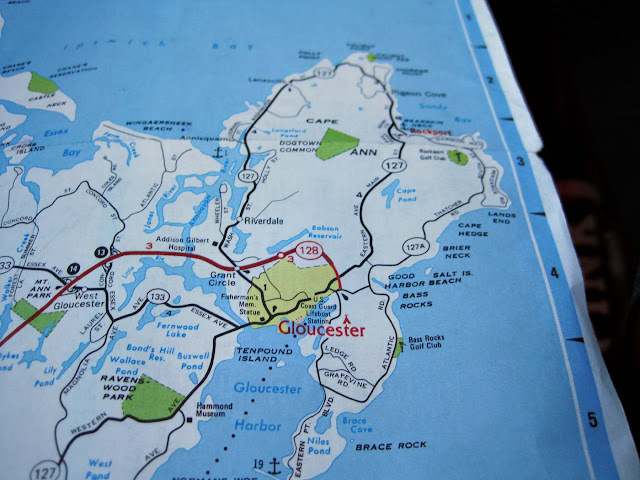 In case you've forgotten where Rockport, MA is, here's the map. We're right up there in the right hand corner of Cape Ann. See it there in red? My husband likes to tease me because I still prefer maps. Now I love technology, I really do, but how am I supposed to look at all of Cape Ann on a 4"x4" GPS screen I ask? Walking up Bear Neck there was almost nothing open. It was a virtual ghost town. Cold, windy, and quiet. Plenty of parking though! A tourists dream! The Bean & Leaf was about the only game in town so we popped in and had some lunch. Cute place, but tiny. Very tiny. We waited for a seat while the girl made our latte's. 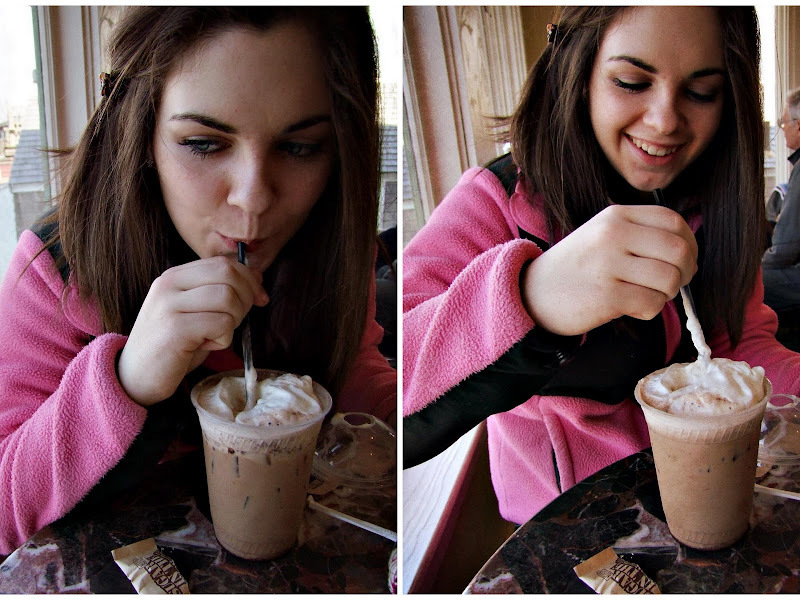 Elise chose an iced mocha latte and found it quite delicious! This was her first experience with Sugar in the Raw. She thought it was a little freaky looking at first but it passed with flying colors. Me, I was more intent on warmth so a hot mocha latte it was. Delish! We split a turkey wrap along with a small bag of Cape Cod chips. Cape Cod chips on Cape Ann .... hmmmm. I really wanted to go photograph that big, tall, cool tree behind the red house but by this point I was chilled to the bone and wasn't up for it, plus we still had more stops to make. It's a must for our Spring trip back to the Cape. Great water views from our table. Check out that Merganser over there! There's probably about 5-6 tables to chose from and they pretty much all have the same wonderful view. My only issue would be that someone needs to clean the outside of the glass. It was covered in dirty streaks so I was surprised I captured the shots I did. Certainly in the Spring a squeegee is in order to clear things up. After all, the view is where it's at. Wonderful shots...I couldn't tell they were through the windows! I need to come visit that part of the country some day! Your day sounds like a good one, Sharon. And your daughter is beautiful! Love those stone steps outside this little restaurant. And wow, that photo of the tree behind the buildings is well, wow! What a pretty place to spend time with your daughter! Thanks for the day trip! :) Enjoyed the view. Sooo beautiful! It has been almost 30 years since I visited there. Looks like you two had the perfect day (other than cold temperatures) to visit. And I was just there last Saturday. I remember the windows were extremely dirty and it somewhat spoiled the view. Your photos came out better than mine. Great shots! Wow really beautiful. There seems to be a lot of old world charm in the area. Please excuse me in my ignorance in the geography of the US I am from the UK. 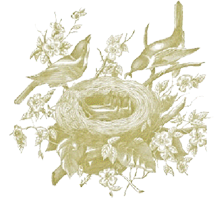 I read recently the book by Gladys Taber 'My Own Cape Cod', which I absolutely adored. My question is it in the same part of the country or am I way off mark? From your photo's it looks absolutely beautiful just how I imagined it would look in the descriptions by Gladys Tabor. These are great! 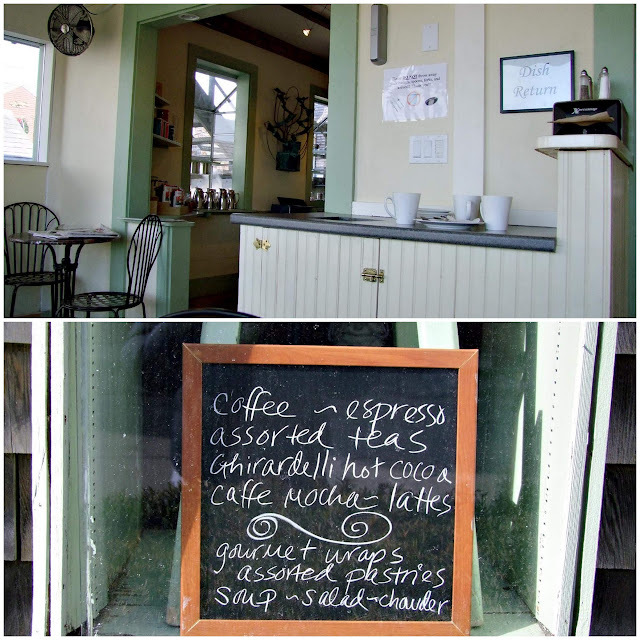 I love Rockport and I've been to this coffee shop. Elise is adorable. 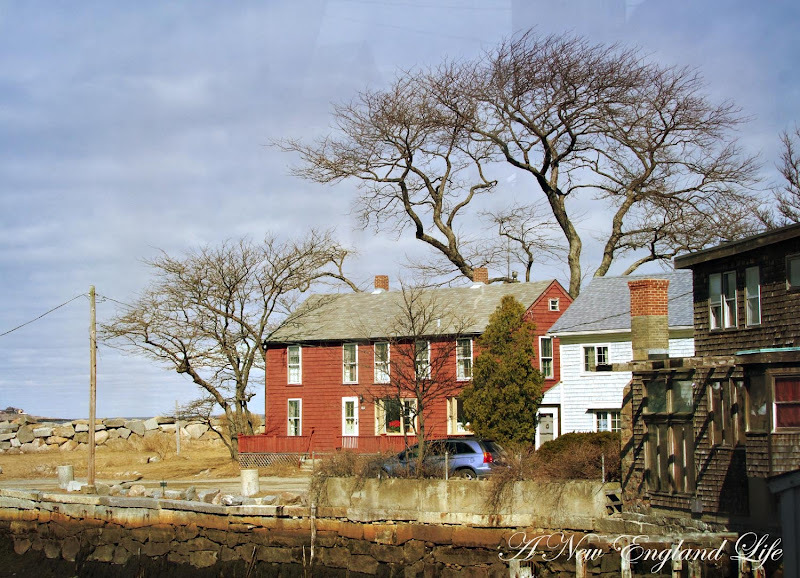 For those of you have been to Rockport, isn't it such a lovely little town? I can't wait to go back on a warm spring/summer day with my family. For those who haven't gone, hopefully you'll get there one day! Hi Jennifer! Cape Cod is very close to Cape Ann. 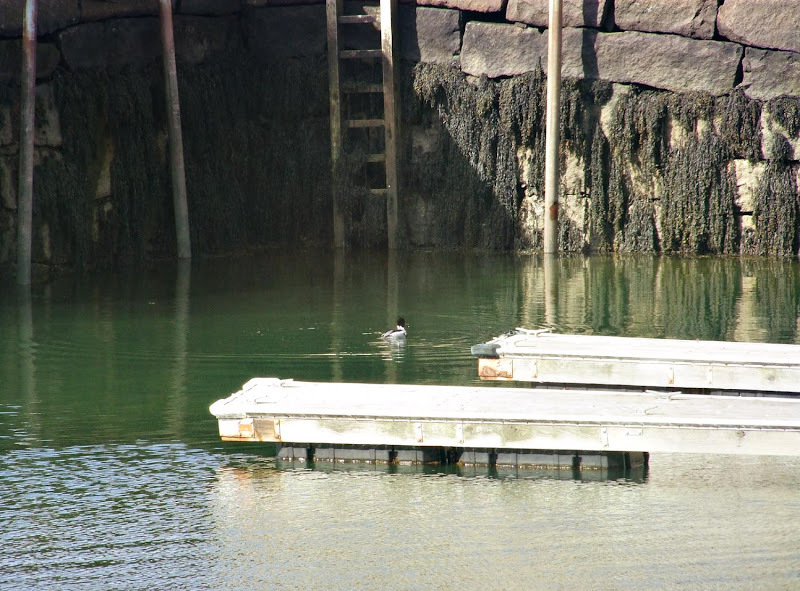 It sits about 1 1/2 hours below Cape Ann. It's been years since I've been but maybe one day I'll be able to talk my husband into taking the ferry to Provincetown, out of the very tip of Cape Cod. Here's a link to a map showing you where each is located. You may have to back out of it a bit to see both capes. Rockport is awesome...near Pigeon Cove you can find smoky quartz on the beach. There is an old quarry around there too, I just can't explain how to get you to it... I'd have to show you. 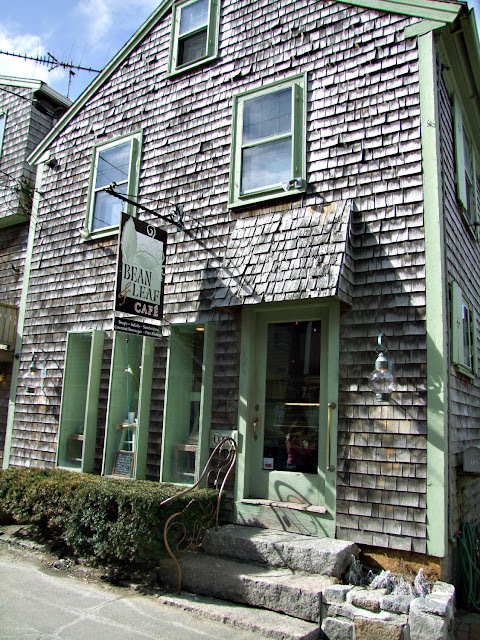 In summer, that little strip on Bear Neck has the coolest shops... very artsy. The little lunch place is great, I've eaten there more than once. For any adult beverage drinkers, Rockport is a dry town. You can't buy booze in town nor do the restaurants serve it. There are places that let you bring your own wine or beer. Excellent post! I adore Rockport... definitely New England. Lovely pictures today. It looks like spring has sprung in Rockport! I agree with The Curious Cat too, your daughter is gorgeous. you are really enticing me to plan a little vacation in that area,... maybe this summer. I can already taste the latte! Thanks for the visit to Rockport. It was one of my favorite places when we lived out there. And Cape Cod chips are the best! 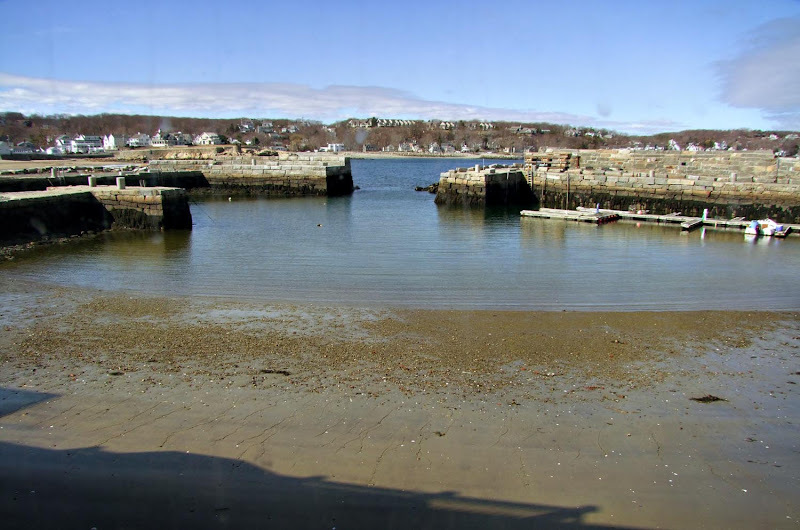 I recognized Rockport in Sandra Bullock's movie, The Proposal. They just added mountains behind it. I need to get back to N.E. sometime soon! Thanks for the reminder. Love this series! 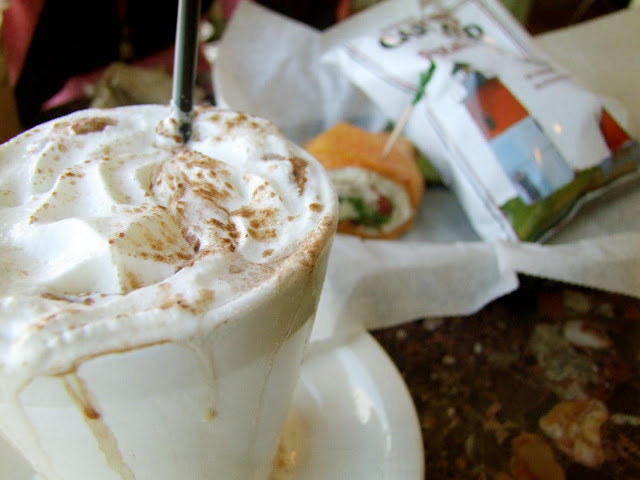 I especially love the HOT Mocha shot with the whipped cream drizzled down the edges. That is my fav drink and the wrap and chips in the background just makes it a PERFECT shot! LOVE LOVE LOVE it! Pretty, pretty. Although, that shot of the delicious, mouthwatering (literally) mocha drink was completely unfair. I'm doing my best to avoid those tempting treats...I had to scroll by that one fast, with my eyes averted. Thank goodness, I couldn't smell it, or I'd be a goner, for sure. Niiiiice. You guys are up there, aren't you? Goodness Sharon, your daughter's eyes are STUNNING! I am such a fan of Sugar in the Raw. Yum. Lovely little interlude in a charming village...thanks! Hot Mocha Latte!!! Yum yum. Sounds good right about now. Visiting your blog always makes me want to take another trip up to MA! Looks like you had a lovely day with your daughter, thanks for sharing! 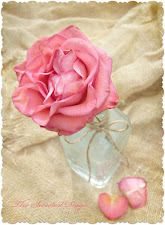 I love your photos!!! you visit such special places. i might go to the beach today but it dont look as good as where you are. such a great blog a good find. Oh, it looks like such a charming place to visit! Thanks for taking us along, Sharon. Great story, and wonderful photos! I agree about that big tree, too! If I am ever in the area, I will have to get in touch with you and find out where to go for all the best views and lattes! I love the photo of Lily with the snowballs! Annie does that, too, only with more contrast. I have found the slicker brush is the best way to get them out. It looks like the kind of place that I love to go to for lunch. Your daughter is so beautiful and the most gorgeous blue eyes. i love your photos. the lattes sound and look wonderful! Love these shots! I couldn't tell that they were taken through the window, either. That tree behind the red house is gorgeous. Love it's shape. I can see why it was calling to you. You live in such a beautiful area - there's so much to photograph!